" I am passionate about the creation and performance of music, both self-composed and composed by others, with a substantial publication list of arrangements and compositions in a variety of fields including music for theatre, film and television. I am committed to achieving excellence in both live and recorded music." I currently reside in Scotland, where I graduated PhD in music at The University of Edinburgh. Alongside my career as an educator, I have been self-employed variously as composer, conductor, musical director and record producer for a range of international clients, including Edinburgh University Encounters project, EUSOG, Royal Conservatoire of Scotland,E MI Music, Australian Broadcasting Corporation, Caroline O'Connor,Sir Robert Helpmann, Sir Howard Morrison. My work has featured in performances at the Royal Albert Hall, Garrick Theatre (London), Sydney Opera House and Melbourne Hamer Hall (Australia), Capetown University South Africa, the Hawaiian Theatre Honolulu, the Australian Embassy (New York), Sala Accademica di Santa Cecilia (Rome) and Edinburgh University. 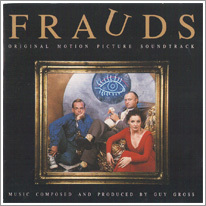 I have been orchestrator, associate composer and conductor for over twenty feature films, television documentaries, mini series, and fifteen album titles and have been a frequent conductor of studio orchestras, including Melbourne Symphony Orchestra for the feature film Frauds. 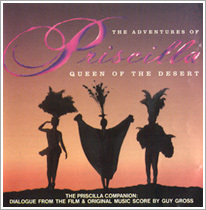 Many of the media to which I have contributed have achieved critical and popular acclaim, including including BAFTA Award (The Making of Longbird), Best Film Score (Crush), an Oscar (Adventures Of Priscilla, Queen Of The Desert), Triple Platinum record sales (Come In Spinner - ABC) and an Australian Aria Award nomination (Cash Landing - EMI Music). My most recent commission was to arrange, conduct, mix and master the vocal and orchestral music for the Glenfiddich 21yo Whisky ad campaign, so far exceeding 1.7 million hits, viewable on my YouTube channel below. My current commissions are to compose a new 4 movement symphony for the Orchestra of the Canongait and a trio for the Seiras Trio in Rome. as well as with live ensembles of any size as Arranger, Conductor or Producer. Testimonials in all these fields are available on request.